The size is great , small to get into tight spaces, especially with small dogs . I gave it four stars because it is not as quiet as I thought it would be. I have a larger clipper to do all the heavy work when cutting my dogs hair and it is much more quieter. The price is cheap for an Oster clipper . Love these, light weight easy to handle and just can't be them for quick trims. Great for touch up. 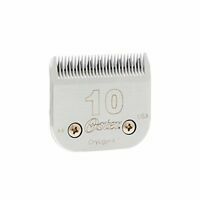 I wouldn't use them on long hair, use the bigger ones and use this when the hair starts to grow out a little before it is over grown and catch it fast..love em! Oh by the way, I bought these to use on my cats, I have looked all over for something small and easy to handle. I have four cats I shave..long haired cats. 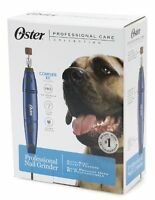 I use this trimmer to trim the hair between the pads of my dog's feet and around the base of her toenails. 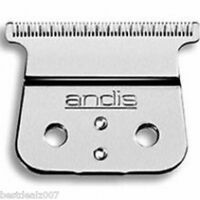 The T-shaped blade works very well to get in between the pads and snip those elusive hairs, and the trimmer runs very quietly. The blade does get very hot, so it's a good idea to turn off the trimmer and let it rest before you go on to the next foot. Some dogs may be very sensitive to the heat, and others may not feel it. I've had good success with it, and I'd buy it again.